Who’s your daddy? If you’re not sure, you might want to check with Eddie Murphy. 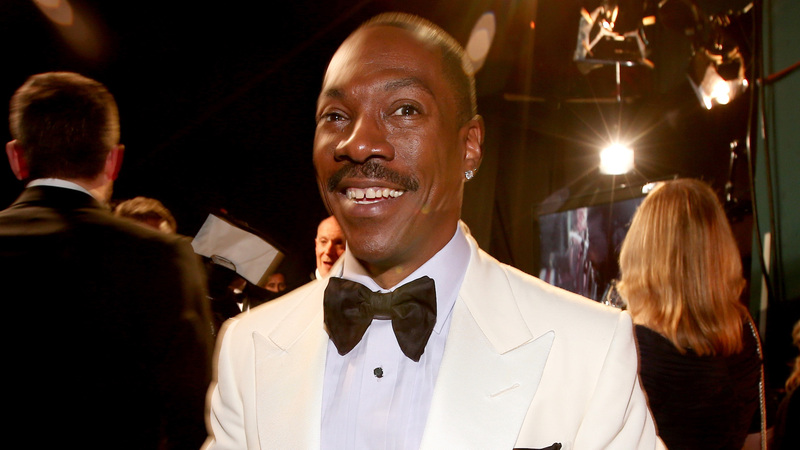 Eddie Murphy and his fiancée, Paige Butcher, welcomed their second child, a son named Charlie, on Nov. 30. The couple starred together in Big Momma’s House 2 back in 2006. The two also have daughter Izzy, 2, whom Murphy holds in the epic family photo. In addition to Izzy and Charlie, the photo features some of Murphy’s baby mamas and all of his offspring. It’s an epic lineup for sure: Eric, 29, and Christian, 27, with their mom, Murphy’s ex-girlfriend Tamara Hood; five kids with ex-wife Nicole Mitchell Murphy — Bria, 28, Miles, 25, Shayne, 23, Zola, 18, and Bella, 16; and one daughter, Angel, 11, with the badass former Spice Girl Mel B (that’s Scary Spice to you and me). In case you missed all the tea, Mel B and Murphy were together for nine months in 2006. When Mel B originally revealed her pregnancy, Murphy refused to believe he was the father and demanded a paternity test. But no hard feelings! That’s OK, Eddie. Your massive fam will keep us posted, clearly.